Cultivating plants year-round in a controlled environment is a phenomenon that has been around since ancient Roman times. 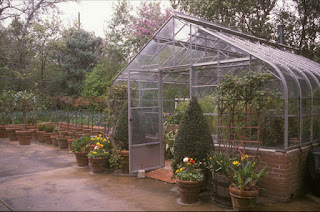 The use of the ‘modern’ greenhouse has been around since the 13th century in Italy when plant samples collected during expeditions to other lands were brought back and needed to be protected from cold temperatures. With a sustained interest over the centuries in new, exotic, and delicate plants, scientists used greenhouses to grow plants for study and research while amateur gardeners (a.k.a. 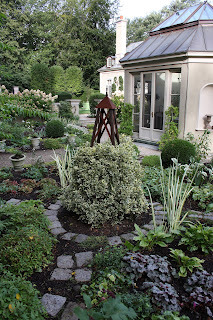 plant fanatics) found them to be havens that protected the objects of their obsession. A vast array of greenhouse variants proliferated as glassmaking technology improved and specific cultivation requirements were addressed. Just think of all the formats and shapes and sizes of ‘glasshouses’ there are--everything from hot houses and conservatories to Wardian cases, bell jars, terrariums, and cold frames. Why over the years, there have even been glass structures as specific as orchid houses, palm houses, temperate houses, orchard houses and fig houses! All pretty much foster the same elements: light, regulated temperature, moisture, and protection from the outside elements. The orangery is another glasshouse variation that was developed to address particular plant cultivation needs, in this case citrus fruits. Some featured stoves to provide heat while others actually had open fires! Plants were sometimes grown in large tubs so they could be moved outside when temperatures grew warmer. Regardless of the type, glasshouses serve as microenvironments that keep delicate plants from dying during the harsh winter months. What gardener doesn’t love the thought of an endless growing season?